In an attempt to distinguish itself from competitors like Oracle, Adobe and Salesforce, IBM announced today that it will acquire digital-marketing creative agency Resource/Ammirati. The deal is projected to close in the first quarter of 2016. While IBM has had a series of strategic partnerships with Twitter, Apple and Facebook in recent years and acquired software provider Silverpop for roughly $275 million in 2014, this marks the organization's first acquisition of a digital creative shop. The move will help IBM deliver digital creative experiences for IBM clients and their customers. "Resource/Ammirati has built its own stellar brand and reputation on a long, distinguished record of advancing leading brands in the industry," Paul Papas, global leader, IBM interactive experience, said in a press release. "The portfolio of work and proven expertise is a perfect complement to the experience design capabilities of iX, where we bring clients as a distinct fusion of industry insight, design thinking and end-to-end digital transformation, from the experience of the individual to the core processes of the client's enterprise." Columbus, Ohio-based Resource/Ammirati, which also has offices in New York and Chicago, has built a name for itself over the years working with clients including Nationwide, DSW, Birchbox and Nestlé. Some of the agency's most popular work includes the Sherwin-Williams ColorSnap iPhone app, which let users match colors found in photos with the brand's line of paints, and the increased visibility of Nestlé-owned DiGiorno Pizza's Twitter account. 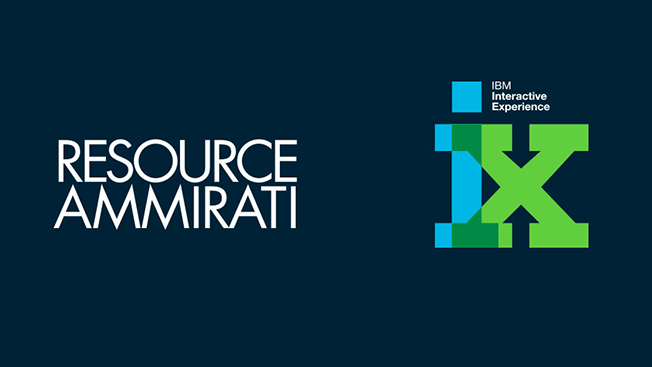 "Our associates and clients will all benefit from IBM's global reach and resources, including access to additional strategic, design and development talent as well as powerful analytics and technology expertise in cloud, mobile development and systems integration," Resource/Ammirati founder and chairman Nancy Kramer said in a press release. "Additionally, IBM's legacy of progressive, associate-centric practices is a perfect match for our company's culture."